Do you feel nervous when waiting in the reception area of the dental practice? Do you feel anxious while sitting in the dental chair? And, does seeing the dentist’s drill make you anxious? If you answered yes to all of these questions, then you might have some form of dental anxiety. Dental anxiety is the uneasiness or fear of seeking dental care. This can cause serious consequences for your dental health and overall wellbeing. The good news is dental fear can be easily managed and controlled with the help of your dentist. There are many, wonderful options and methods available that can make your dental visit a pleasant and stressed-free experience. One option is sleep dentistry. Sleep dentistry is also referred to as sedation dentistry. These terms are often used interchangeably; however, you don’t sleep during the procedure. The goal is to minimise pain and discomfort during treatment, putting you into a relaxed or sleep-like state using sedatives and pain relievers. It’s the effects of sedatives that may, however, make you feel drowsy. Sleep dentistry is for patients who experience mild to severe anxiety about visiting their dentist. It is also ideal for patients with special needs or young children who might have difficulty undergoing lengthy or complex procedures while awake. Sleep dentistry could also be the right option for you if you have limited time to complete dental work and difficulty controlling your movement. Sleep dentistry uses different medications and procedures to help patients relax throughout the entire dental treatment. Thus, there are different levels of sedation used: minimal, moderate, and deep. With minimal sedation, you are relaxed and awake. Moderate sedation makes your speech slow and you may forget much about the procedure. As with deep sedation, you’re on the edge of consciousness but you are still awake. Alleviates anxiety – the main benefit of sleep dentistry is the alleviation of anxiety. Patients with dental fear may avoid going to the dentist for year, but with the help of sleep dentistry, you will be encouraged to visit your dentist to improve your oral health without any uncomfortable feelings. Stress-free alternative – sleep dentistry is a safe and stress-free option to manage dental fear. In addition, sleep dentistry is time-efficient as you can often have several treatments completed in one session rather than multiple visits to the dental office. Reduce and prevent dental phobia – sleep dentistry can play an important role in reducing or inhibiting dental phobia completely. Don’t delay your dental appointments because of dental fear. 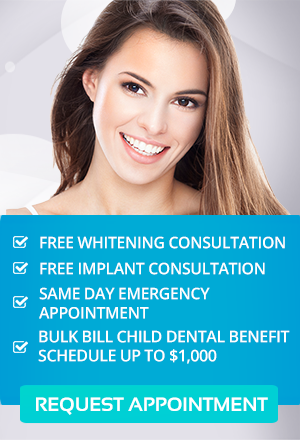 At Simply Smiles Dental, we provide solutions to every dental concern you may have including your fear of dentistry. Our friendly staff and welcoming dental office can help reduce your anxiety and make you feel relaxed before, during and after the treatment. Moreover, the best and most effective way to manage your fear is through our advanced sleep dentistry procedures. At Simply Smiles Dental, we administer comfortable and safe sleep dentistry to provide you with pain-free dental experience. To know more about the methods and benefits sleep dentistry, visit your Toorak dentist at Simply Smiles Dental today.